A 740 ml. translucent colour water bottle with a straw built into it. Individually packaged in a white box. SKU:S-622. 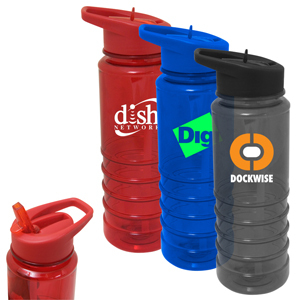 Categories: Drinkware, Promotional Merchandise.